The Sunday Times Top Ten Bestseller, available as a Penguin Essential for the first time. A castle at the foot of the Carpathian mountains in the 1930s. Two men, inseparable in their youth, meet for the first time in forty-one years. They have spent their lives waiting for this moment. Four decades earlier a murky, traumatic event - something to do with a betrayal, and a woman - led to their sudden separation. Now, as their lives draw to a close, the devastating truth about that moment will be revealed. 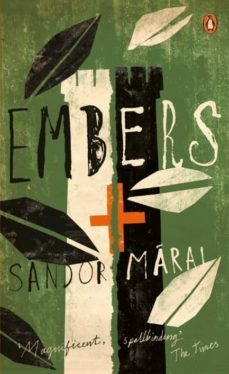 Embers is a masterpiece - an unforgettable story of passion, fidelity, truth and deception.